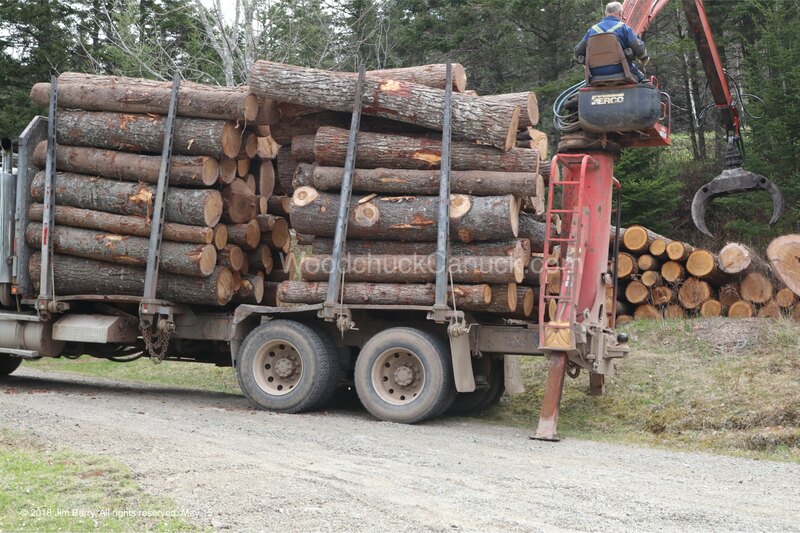 Why is it Jim is never home when an order of logs or something of that nature arrives? Not sure, but he missed all the excitement. We weren’t expecting them so soon, but sure enough, here they are. 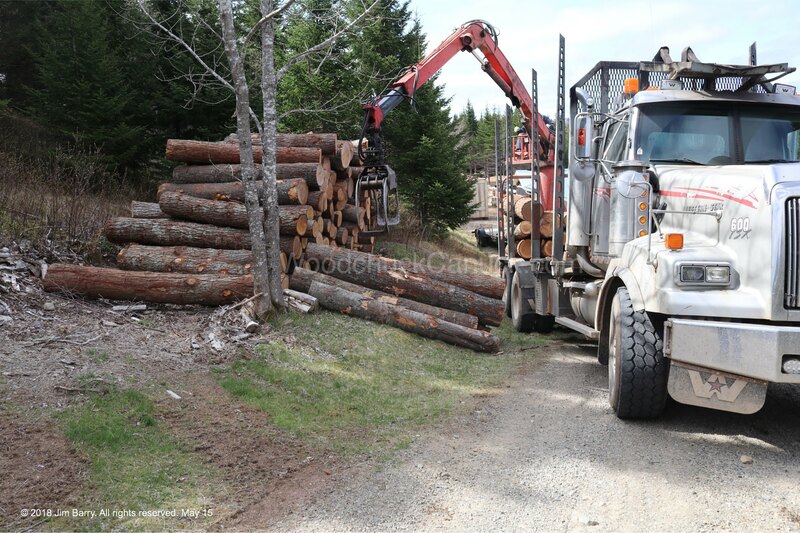 The truck driver had tried last week to pick up the logs for us about an hour away, but he got his truck stuck in the soft ground and had to be towed out. Yikes! He decided the ground needed a few sunny days with no rain to dry out enough to try again. And that is just what happened. So no time like the present. We weren’t sure how much would fit on the bank coming down the driveway. We have had about 10 chord there before but this time it was 16 chord. Mostly hemlock with some large pine mixed in. That large pine on the bottom of the pile should be interesting to pick up with the skidsteer and grapple. Too bad the center is rotten. I think it was the only one. 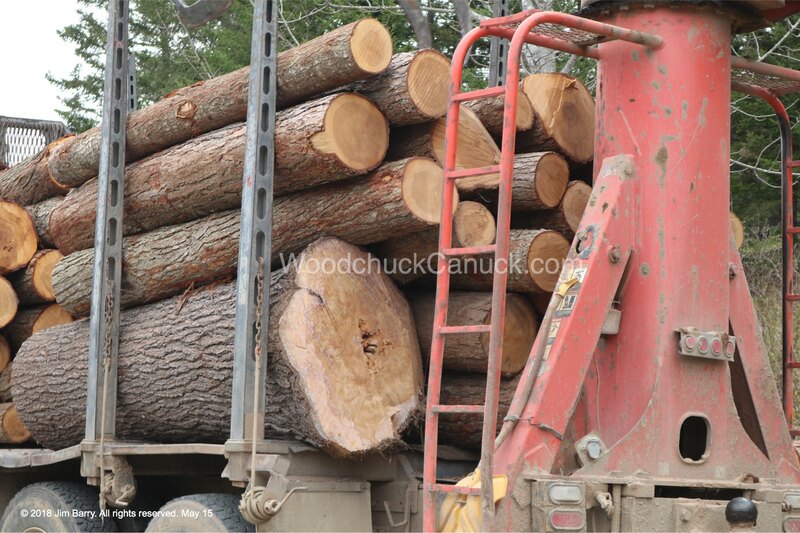 Still though, we will get plenty of lumber from it. 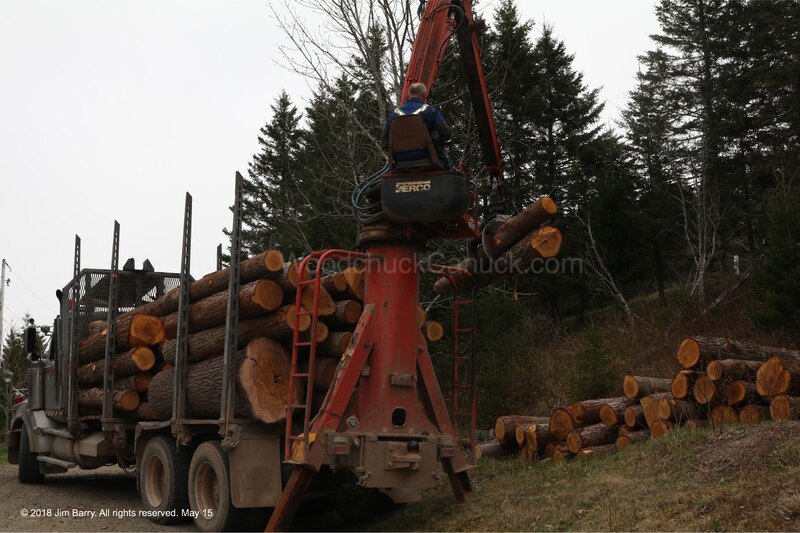 It was the last log lifted off the first truck. Here is the second load. 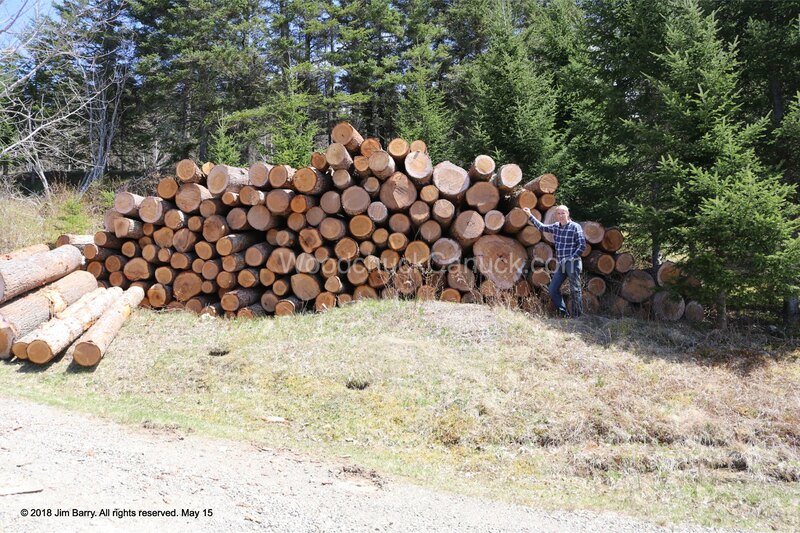 With that space filling up quickly, and not wanting to pile it too high, he started piling the remaining logs on the side. This will give you a sense of scale. I think Jim is smiling. 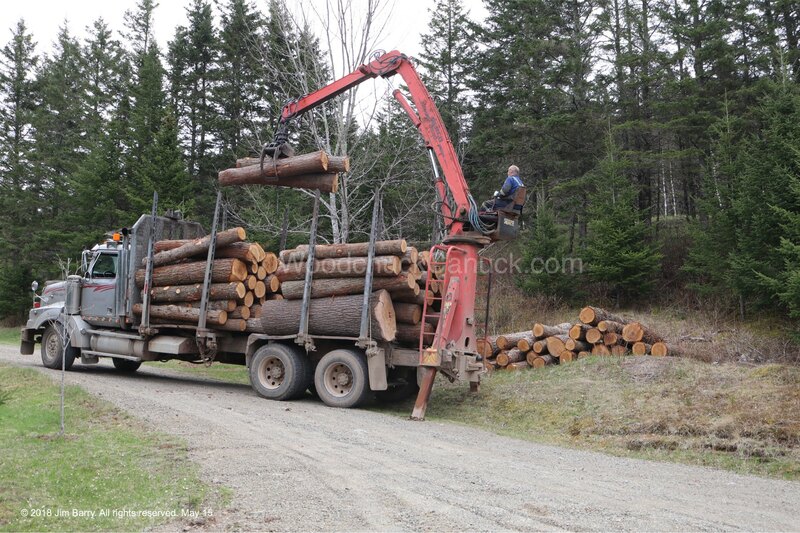 If I remember correctly, last summer was spent milling poplar logs. 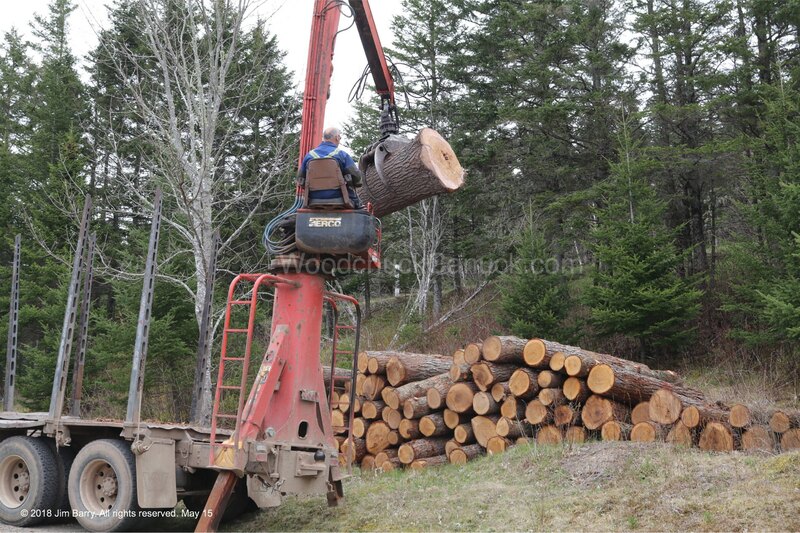 This summer will be spent milling hemlock logs. Hmmm…I am starting to see a pattern here. I had taken a quick video to show Jim when he got home, so I’ll show you too.